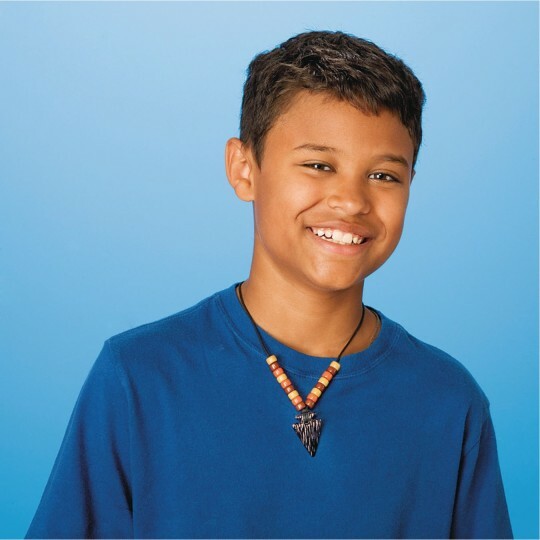 Necklaces Feature Real-Look Plastic Arrowheads. Colorful necklaces are a cinch to assemble. Includes arrowheads, pony beads and 24" rattail cord. Tie into curriculum on Native American culture. Make colorful craft necklaces with realistic plastic arrowheads, easy-string pony beads and 24" rattail cord. Easily tie into curriculum on Native American culture and traditions. Instructions included. The cord provided is too short for the necklace to go over the child's head. There was no clasp provided. I had to separately buy breakaway clasps from another vendor in order to make this project work for my students. Merchant response: Thank you for your product review. We recommend to try on the necklace by placing it around your neck. Knot in the back of the neck at whatever length you prefer. To take off the necklace, simply untie the knot. Students and Scouts Both Love These! My Cub Scouts loved them age 10 and my Kindergarten students were able to put them together. 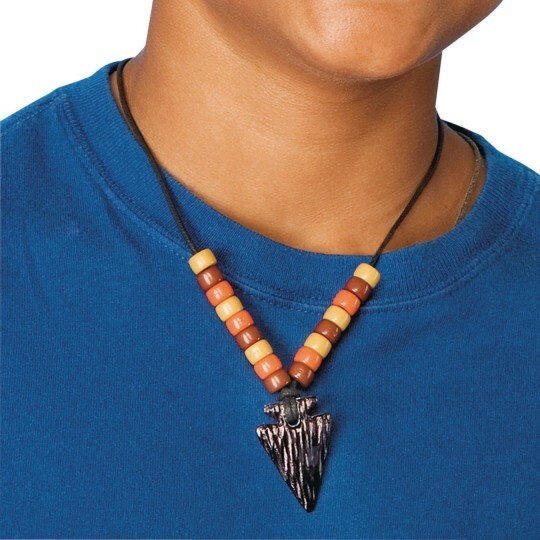 gave each of my grandkids a necklace kit to make themselves a native american arrowhead necklace and they all enjoyed it very much.. The arrowhead necklaces were very easy for the kids to put together and they found them pleasing to wear..